Hello loves! Today I have a very special Bestie Twin Nails to share with you all. 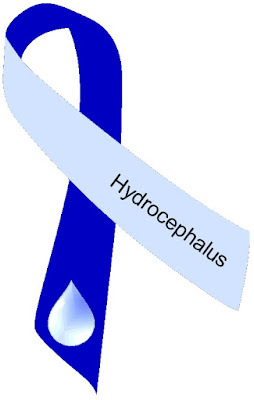 For those of you who don't know, September is Hydrocephalus Awareness Month. Hydrocephalus is an abnormal accumulation of cerebrospinal fluid (CSF) within cavities in the brain called ventricles. Cerebrospinal fluid is produced in the ventricles and in the choroid plexus. It circulates through the ventricular system in the brain and is absorbed into the bloodstream. This fluid is in constant circulation and has many functions, including to surround the brain and spinal cord and act as a protective cushion against injury. It contains nutrients and proteins necessary for the nourishment and normal function of the brain, and carries waste products away from surrounding tissues. Hydrocephalus occurs when there is an imbalance between the amount of CSF that is produced and the rate at which it is absorbed. As the CSF builds up, it causes the ventricles to enlarge and the pressure inside the head to increase. This causes increased intracranial pressure inside the skull accompanied with painful side effects such as constant migraines, dizziness, swelling and numbness in the face and other extremities. And that's sadly, just to name a few. 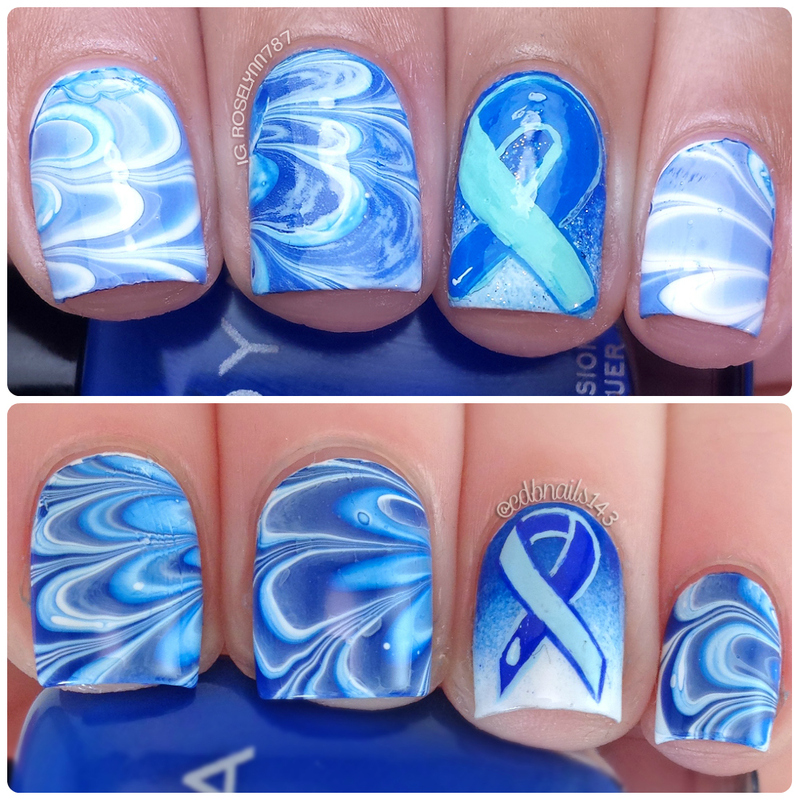 The importance of this awareness is special to me because my nail bestie and sista from another mista Rose suffers from this condition. You all may know Rose as the super sweet and talented blogger over at www.manicuredandmarvelous.com. Guys, if you knew her the way I do and could see what she has to deal with on a daily basis you would appreciate her madd skills even more! Also don't forget to check out the giveaway collaboration, by Rose and I! You can be the first(aside from us) that owns a bottle of "Hydro Hope" made in honor all those who suffer from Hydrocephalus. 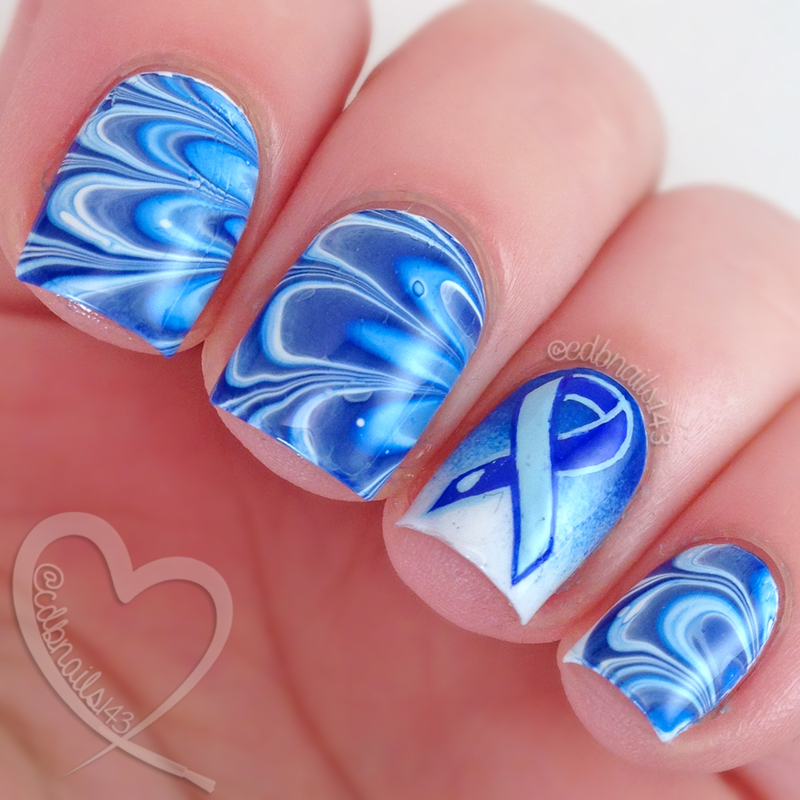 A blue jelly with white and silver holo micro glitters. Shown below in two coats. I'm so sorry that she has to deal with this, especially from what you described! 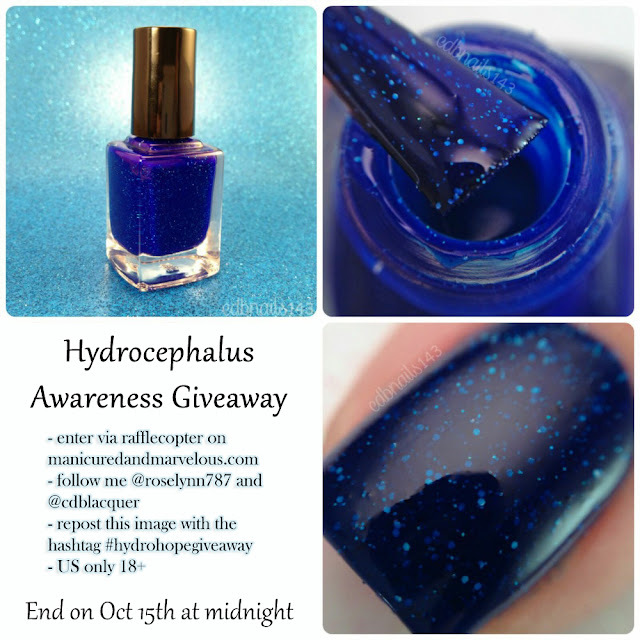 Hydro Hope is gorgeous and I love the nail art you both did! Beautiful tribute to a wonderful woman! There are so many people hurting in the nail community. So awful! Thank you for bringing awareness to it. Beautiful manicure and lovely polish. I wasn't aware about this illness so thank you for making this post! what a good cause...and a great manicure. I knew about the illness, but until I read Roselynn's post I did not know anyone affected by this (except for, I believe, a great-uncle of mine). It's awesome that you both raise awareness for this disease. And your manis are beautiful. I've actually never heard about this. Wow! Great cause and the manis are beautiful as always! Beautiful nails and awesome post! My son has hydrocephalus and watching him go through it had my life even more precious. Thank you for helping others understand jut how common it is.